Paul Newman, Susan Sarandon, Gene Hackman et al. 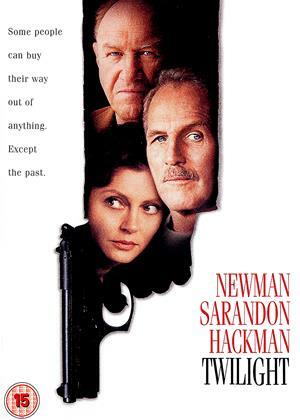 Screen legend Paul Newman heads a luminous cast in this acclaimed whodunit packed with stars and suspense. He plays Harry Ross, a burned-out private eye who's plunged into a murder mystery tied to a long-unsolved case of Hollywood dreams, schemes and cover-ups. Filmmaker Robert Benton (Kramer vs. Kramer, Nobody's Fool), reunites with Newman in this richly layered, character-driven tale. And Susan Sarandon, Gene Hackman, James Garner, Stockard Channing and Reese Witherspoon are among the locals who inhabit a Tinseltown world of privilege and sleaze, sexuality and desperation, trust and double-cross. From beginning to end, 'Twilight' glows.